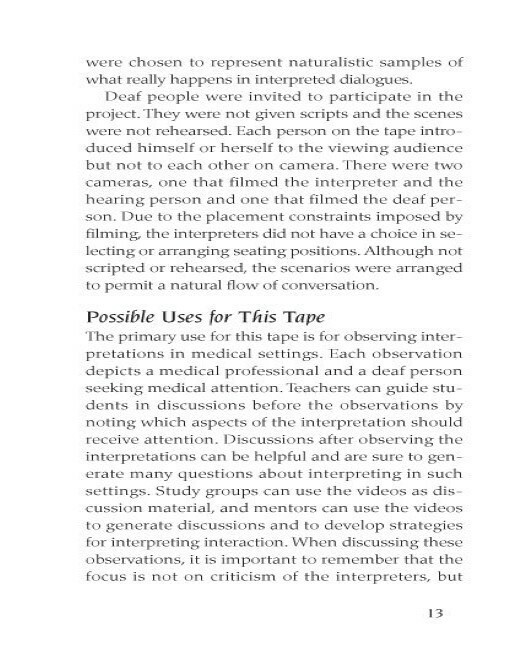 Completely unrehearsed and unscripted interpreting conditions are what set Interpreting in Medical Settings apart from other "interpreting" videos. 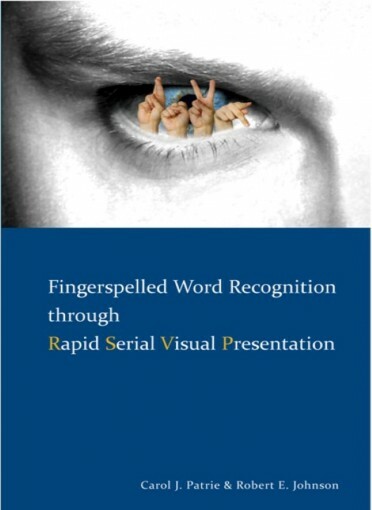 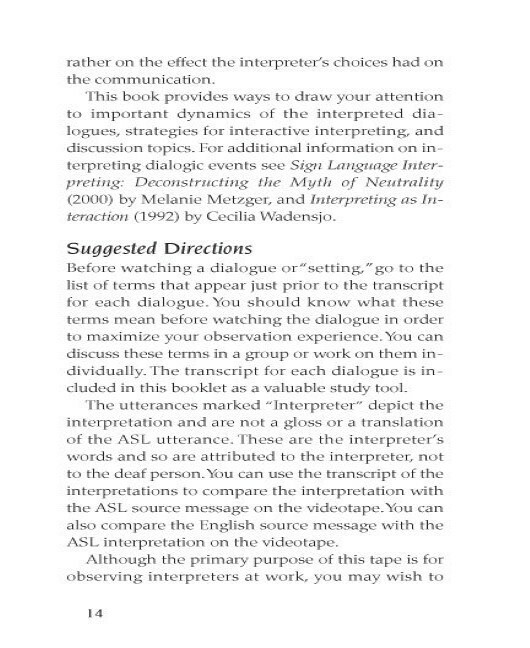 All participants learned American Sign Language as adults! 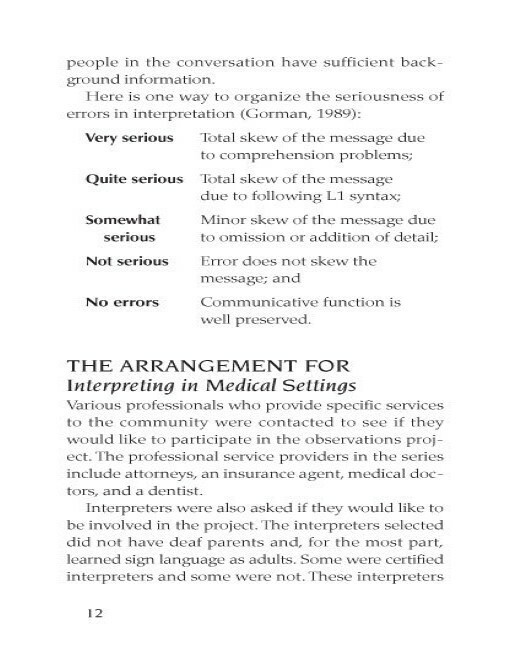 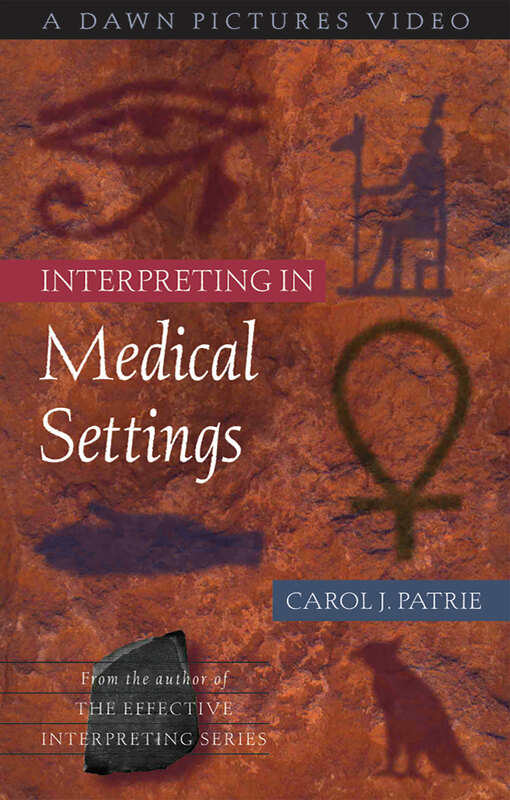 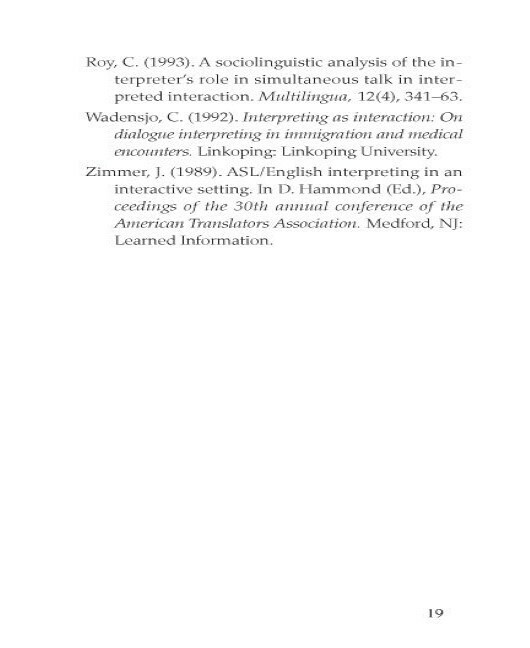 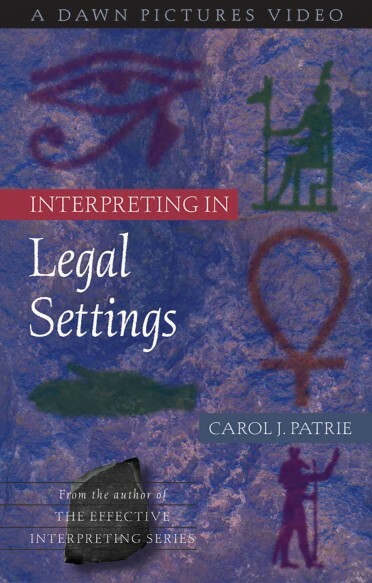 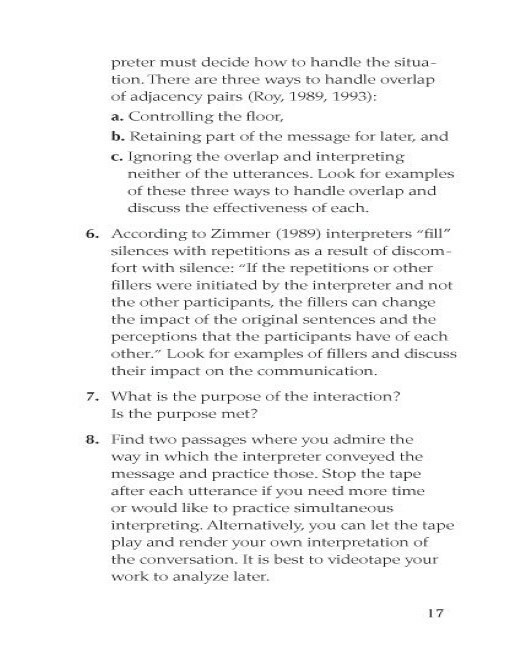 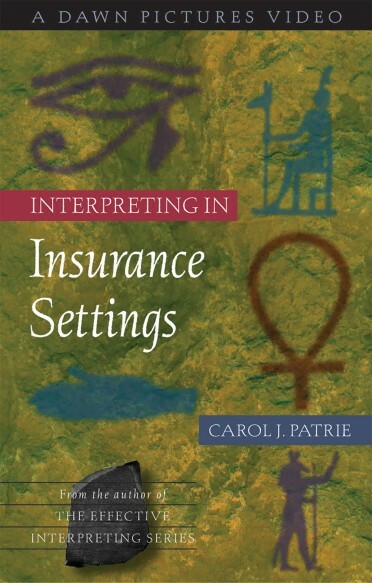 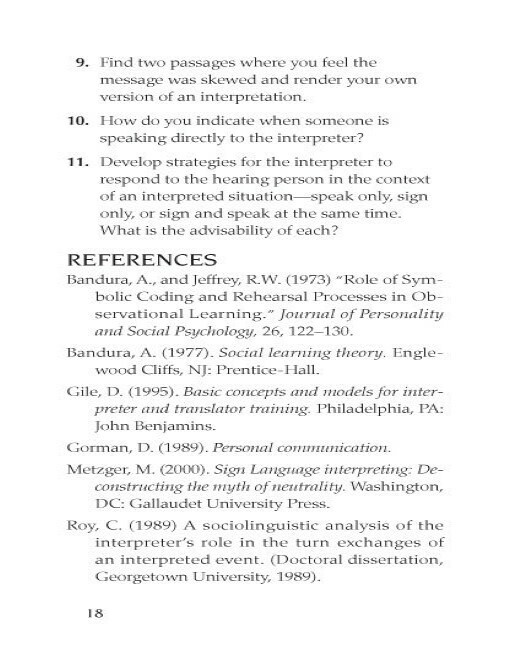 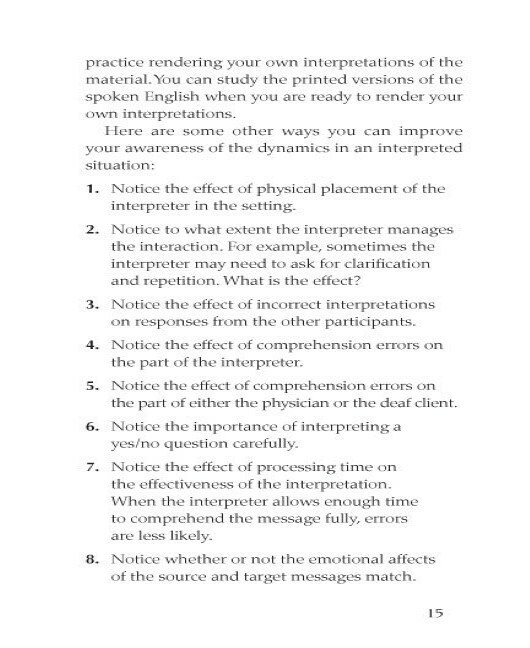 Interpreting in Medical Settings can be used by working interpreters as an independent study tool to earn CEUs! 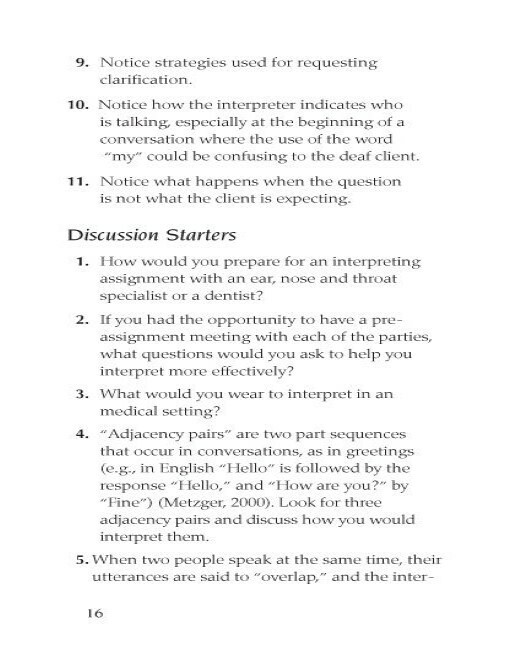 Your local RID-approved sponsor can assist you in designing an Independent Study Plan that suits your needs for group or independent activity.